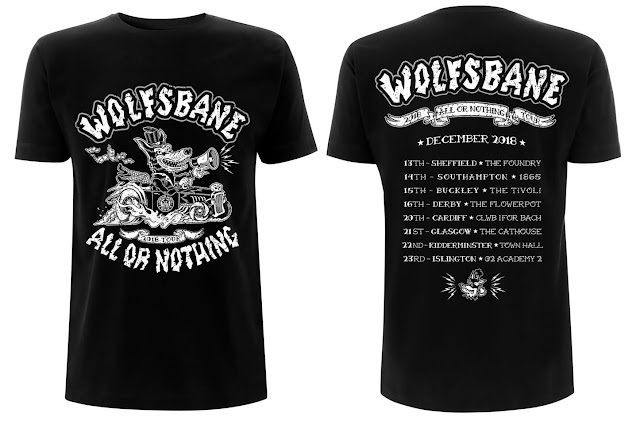 I've been really looking forward to sharing THIS one...WOLFSBANE - ALL OR NOTHING 2018 TOUR SHIRT! This was a fun one to do and is the second of two creative collaborations between Wolfsbane and myself. 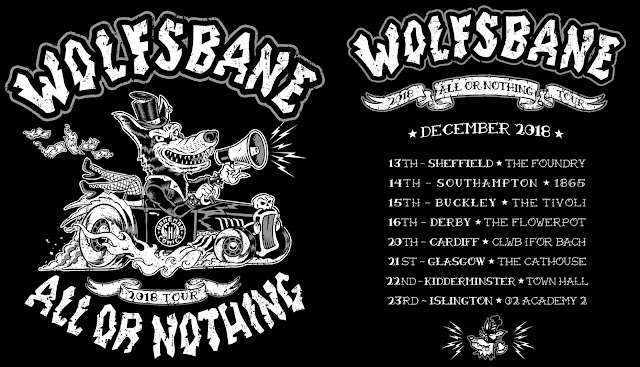 Wolfsbane, one of the greatest Rock n Roll bands of all time, is about to hit the road with a new tour and a new LIVE ALBUM!! If it's in your power to see these legendary monsters of rock, do yourself a favor and get there, you'll be glad you did! And grab this cool shirt while you're there!